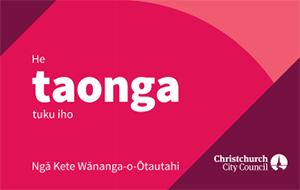 Access to most of Christchurch City Libraries’ eResource collection, articles, eBooks, journals, photographs (our community repository) and more, through a single simultaneous search at a single access point. Online and interactive version of Encyclopædia Britannica. All branches of knowledge are covered in this resource aimed at older students and adults. There is also a Teens and Kids version available. A digital reference collection that includes eBooks on every subject for all ages. Hundreds of electronic reference books covering virtually any subject, including health, business, careers, history, literature, biography, science, travel and more. Access full-text articles from newspapers, reference books and journals on all general interest subject areas. Christchurch City Libraries' collection of librarian selected web links on a wide range of topics. Online version of the Oxford English Dictionary. Find word spellings, definitions, pronunciation and examples of use. Research a term, concept, or person in-depth with articles and essay. The online version of the popular encyclopædia known as World Book and a variety of other World Book resources on the one platform including World Book Kids and World Book Student for teens.